On June 23, 1972, legislation in the U.S. was passed known as Title IX. 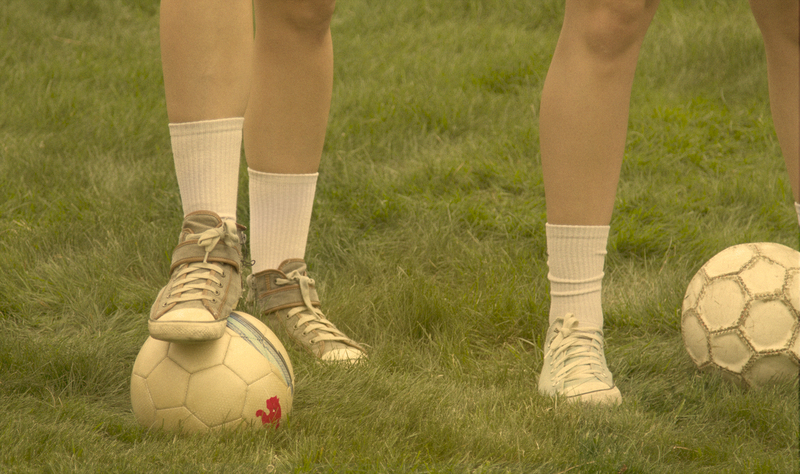 (Before then—and in some places still—many American girls and women weren’t allowed to compete in sports.) The Title IX law prohibited discrimination on the basis of gender in schools receiving federal funding—including for their athletics programs. This, of course, created great possibilities for female athletes at all levels. “Schools provide 1.3 million fewer chances for girls to play sports in high school as compared to boys. While more than half of the students at NCAA schools are women, they receive only 44% of the athletic participation opportunities. Female athletes at the typical Division I-FBS (formerly Division I-A) school receive roughly: 28% of the total money spent on athletics, 31% of the recruiting dollars, and 42% of the athletic scholarship dollars. In other words, we need more stories—fiction and non-fiction—that encourage more athletes to play the games they love, and to inspire more opportunities for the future. That’s why we hope WHEN GIRLS BECAME LIONS will lead the way in creating a whole new genre of sport and women’s literature! To learn more about Title IX, the law, the history and the issues, please visit the good folks at the Women’s Sport Foundation.